Size of this preview: 800 × 544 pixels. Other resolutions: 320 × 218 pixels | 817 × 556 pixels. 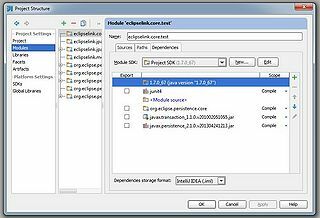 A sample module dependencies dialogue under IntelliJ IDEA IDE. 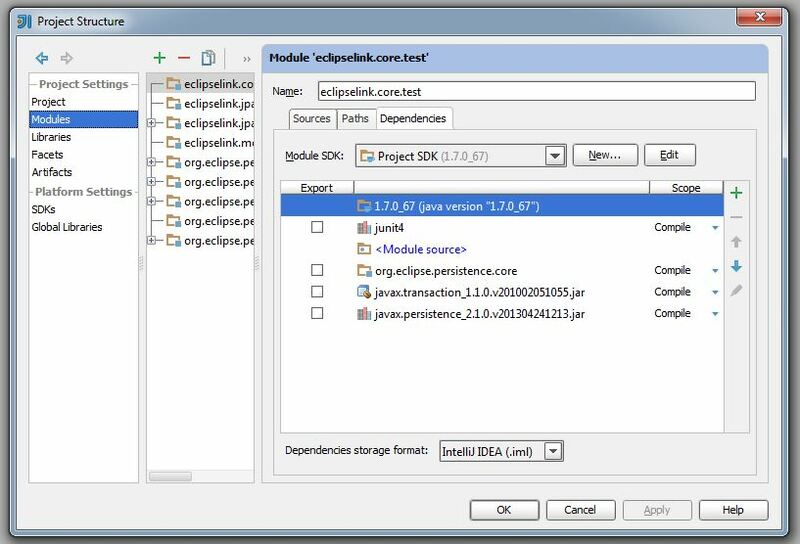 current 07:39, 18 September 2014 817 × 556 (82 KB) Petros.splinakis.oracle.com (Talk | contribs) A sample module dependencies dialogue under IntelliJ IDEA IDE. This page was last modified 07:39, 18 September 2014 by Petros Splinakis.